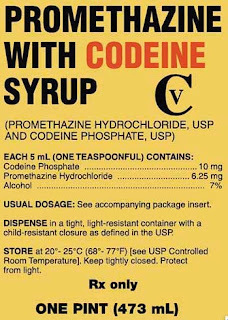 A new report in the November 1 2011 edition of the journal Drug and Alcohol Dependence documents dopamine system abnormalities in association with chronic abuse of codeine-containing cough syrups. The SPECT imaging study, conducted at the Peking University Shenzen Hospital in China, found that dopamine transporters (DAT), the protein that terminates the action of synaptic dopamine, were reduced in teens with 1 to 5-year histories of daily codeine exposure. The mechanisms underlying the DAT reduction and the consequences of the abnormality are not yet known, but DAT changes were profound, suggesting that they reflect a significant abnormality of dopamine system function. Codeine is a controlled substance in the United States, it is considered a mild opioid, and it is widely prescribed as a cough suppressant and to treat moderate pain. According to the Drug Enforcement Administration, it is widely diverted and like other opioid pain medications, it is widely abused. Recently, National Football League lineman Johnny Jolly was arrested for codeine possession, after being arrested previously on a similar charge. Little data exists documenting major biological or behavioral effects associated with chronic codeine abuse. However, this report, which seems timely since this week is National Drug Facts Week, 2011, clearly documents that codeine abuse should not be taken lightly.